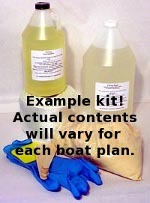 View boat building plans for the Otter 16. A length around 16', lets us use long oars and is about ideal for a serious row boat, smaller skiffs do not have sufficient inertia to go through a chop. This size also provides sufficient seaworthiness and ample capacity for camping cruising or fishing. 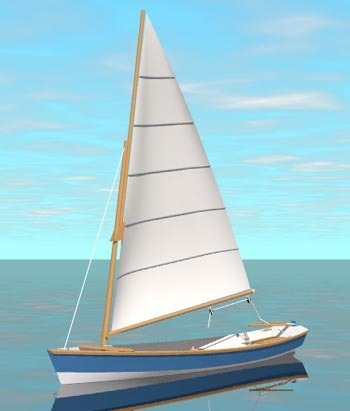 The sailing boat design layout can be used for single or double rowing. The sail is an auxiliary sail: small are and spars that can be stowed inside while rowing; the small daggerboard and rudder do not affect rowing performance.